Moscow University Young Researchers Journal: Languages, Cultures And Area Studies is a project launched by a group of young researchers who are willing to share the findings of their research with the international academic community.The journal is published by Young Researchers Council at Faculty of Foreign Languages and Area Studies, Lomonosov Moscow State University. ISSN 2307-3063. This journal can be seen as a continuation of Young Researchers’ Collected Works (Cборник трудов молодых ученых), which had been previously published annually by the Young Researchers Council. All authors of the journal are under 35 years old. Most of them are undergraduate and graduate students, doctoral and postdoctoral students, young instructors, lecturers, research fellows, associate professors at the leading Russian and international universities. As this publication may be the first step into the world of research, our journal operates a feedback system that allows all readers to comment on every paper and give valuable advice to the authors. Moscow University Young Researchers Journal: Languages, Cultures and Areas Studies is issued yearly in September. 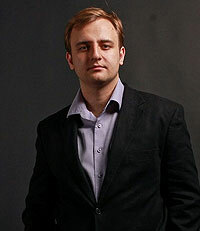 Alexey Korenev, PhD is the Chairman of the Young Researchers Council at the Faculty of Foreign Languages and Area Studies (FFLAS) of Lomonosov Moscow State University (MSU).He graduated from MSU in 2009 and continued his education at Hokkaido University (2009-2010) and FFLAS (2010-2012), where he completed his PhD (kandidatskaya) degree in language teaching in 2012. His major research areas are language testing and internationalization of higher education. 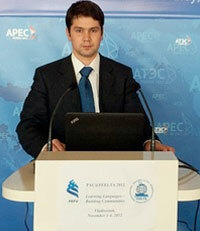 Alexey won the Russian Presidential Scholarship in 2008 and 2011. He has more than 10 publications in Russian and international journals. Anna Avramenko, PhD is an associate professor, online courses tutor and developer, and the vice-chairman of the Young Researchers Council at the Faculty of Foreign Languages and Area Studies (FFLAS) of Lomonosov Moscow State University (MSU). Her major research areas are mobile learning, ICT integration in language teaching and assessment. Since 2011 she has participated in 3 international projects and more than 30 international conferences including IATEFL Liverpool conference-2013 where she won a scholarship and presented the results of her small scaled project. She has more than 30 publications (among them the first manual on mobile learning in Russian). 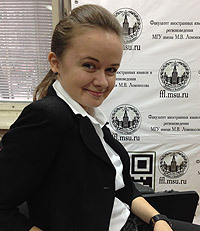 Anna won the Russian Parliament Scholarship in 2013. Previously co-edited by Maxim Ilyahov, PhD. Maxim is a graduate if FFLAS (2010). In 2013, Maxim completed a study in wiki-based learning tools.Maxim is currently pursuing research in text optimisation and information design, with over 170 online publications and ongoing teaching practice. Maxim took part in launching and maintaining the journal in 2012 and 2013.